Two credit-ratings firms on Tuesday downgraded the city of Hartford further into junk status, citing an increased likelihood of default as early as November. $50 million. 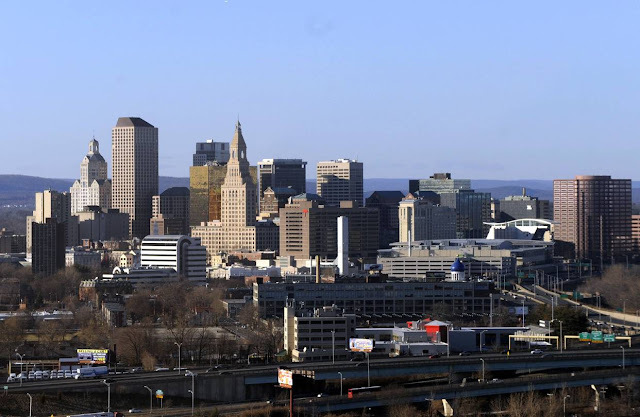 City officials have said Hartford could file for bankruptcy as early as November if the state doesn’t step in and help. “The negative outlook reflects ongoing risks from the absence of a plan to restore the city’s financial health and uncertainty of state support given the ongoing budget impasse,” Moody’s said. But the state of Connecticut has its own fiscal problems. State lawmakers failed to pass a budget before the start of the fiscal year in July to close a two-year budget hole of $3.5 billion. An executive order signed by Gov. Dannel Malloy, a Democrat, has funded state operations since then.